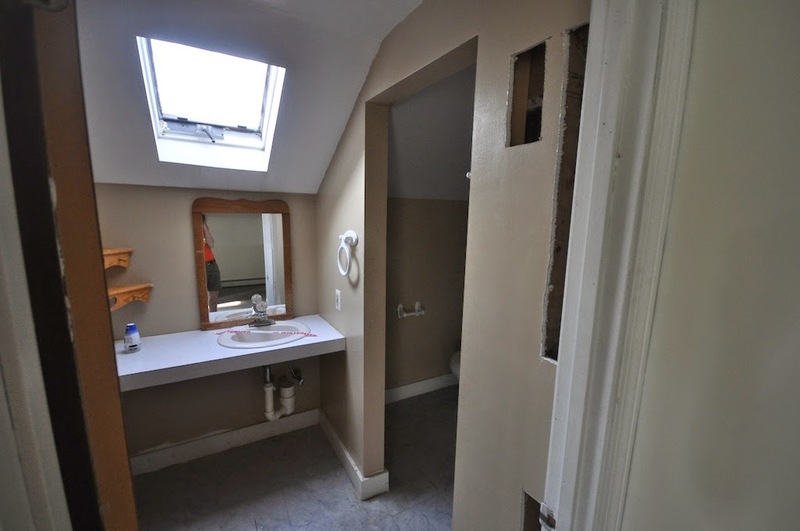 SoPo Cottage: Bathroom Design Times Four! As we get close to the finish line, it's time to talk about some of the fun stuff! 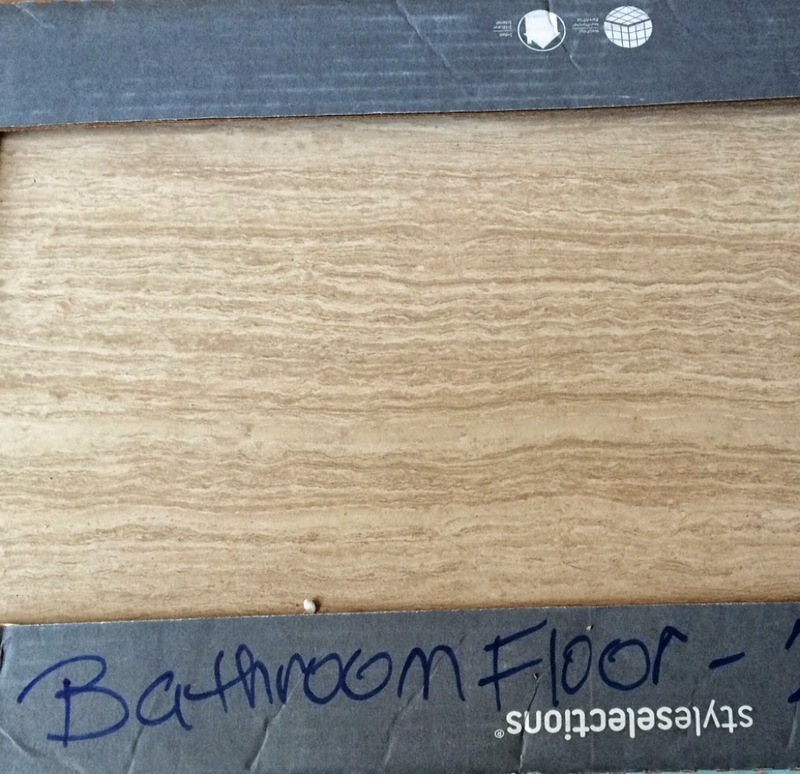 And we've got exciting plans for the bathrooms. We have 4 full baths in this house, so there was a lot of planning required. Mirror image baths....getting a big transformation! 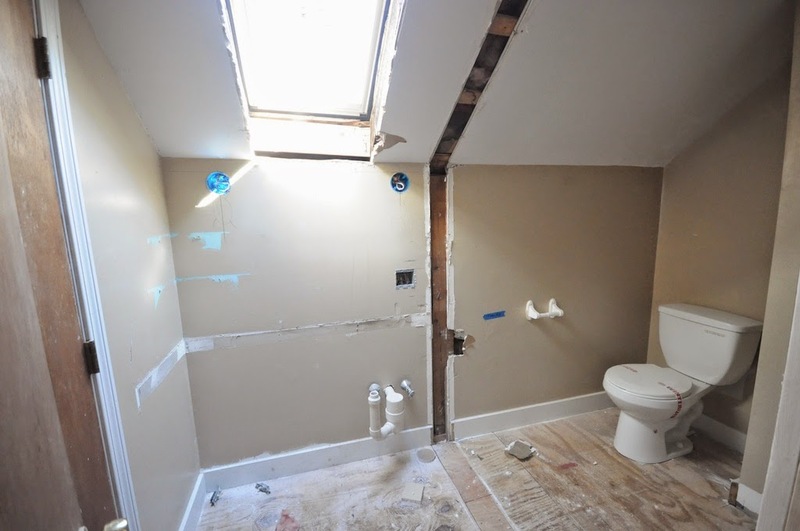 For example, we are giving the two first floor bathrooms a total overhaul. The tubs had so many nicks and scars on the porcelain, we decided to pull them out and replace with shiny new American Standard tubs. Oh, and those odd windows into the foyer? We pulled them out. And the bathroom exhaust fan that vented into the foyer (yuck! ), those have been rerouted and now vent to the outside. Yeah, this needs an update! I decided to do the two bathrooms with the same tile, in large part, because I fell in love with it. 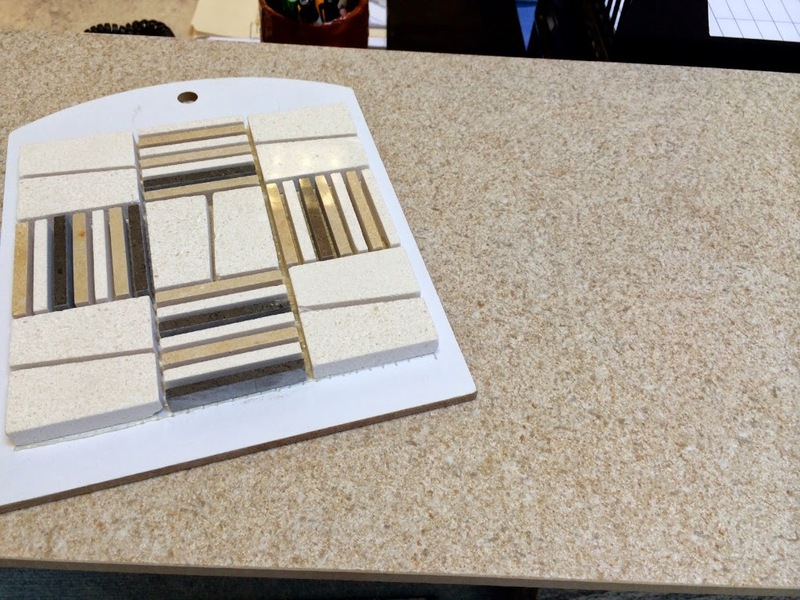 The floor tile is a large format (12" x 24") Italian ceramic, with a textured finish. It's non-skid, which is great in a bathroom and the light color will help these small baths look larger. For the tub/shower, we'll use a white subway and a fantastic marble border, with three different types of marble intricately joined together. It will provide a beautiful accent in the room. There is never enough storage in a bathroom. Our solution? We'll keep the storage units that are next to the tubs and add new vanities with storage as well. 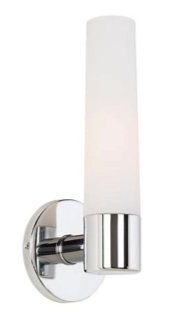 For fixtures, I wanted to add a modern classic look, so we went with these beautiful Grohe faucets in all the bathrooms. 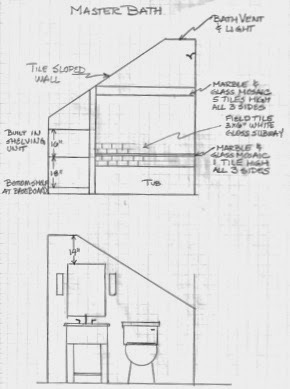 The footprint on the master bath hasn't changed, but by eliminating some walls and that not-so-attractive sink, it's going to look a lot different when we're done. And the new skylight is bigger than the old one and adds lots of additional light. 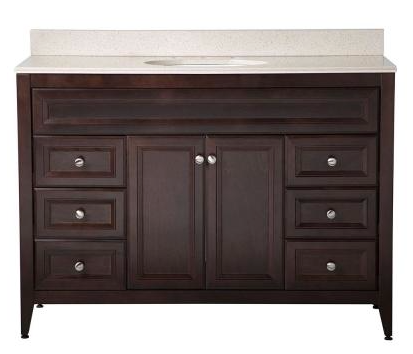 We're installing this large new vanity, with a stone top. Above it, we'll have a new custom cut mirror and Restoration Hardware Asbury sconces. 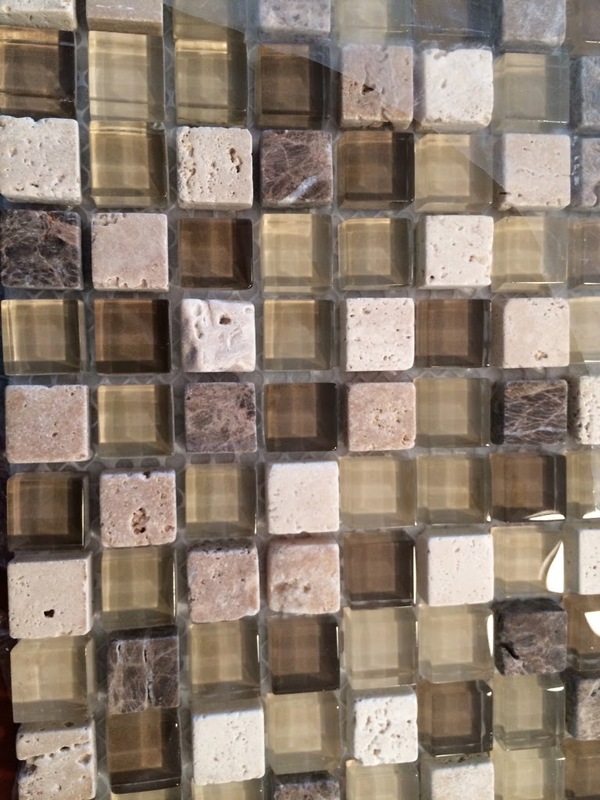 We'll coordinate that with this ceramic floor, interspersed with stripes of this stone and glass mosaic. Since this bathroom is entirely new, we had a little more flexibility with the design. 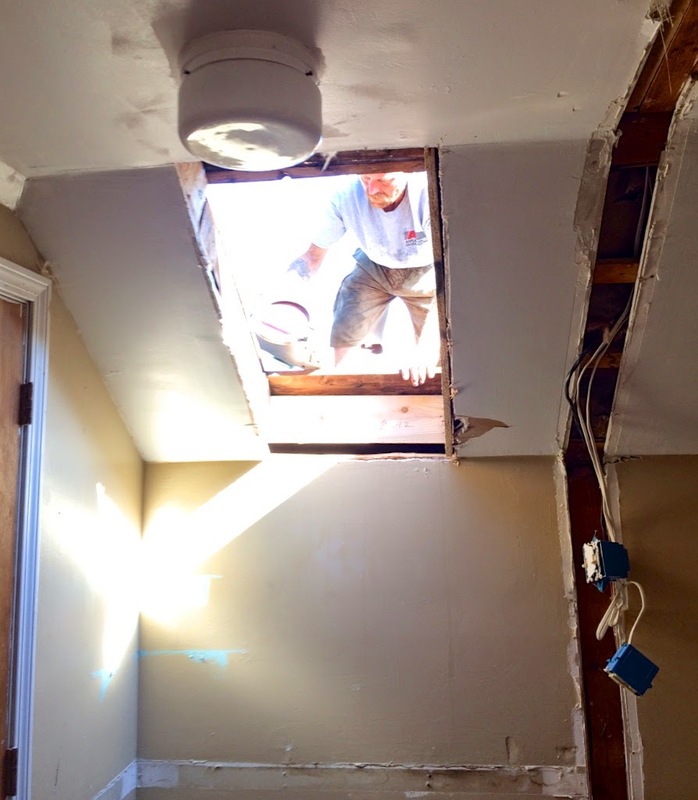 We're installing the tub under the sloped ceiling. Thankfully, there is plenty of headroom for a shower. We'll tile the entire tub space, with white subway tile and a stone and glass mini mosaic to provide some additional interest. 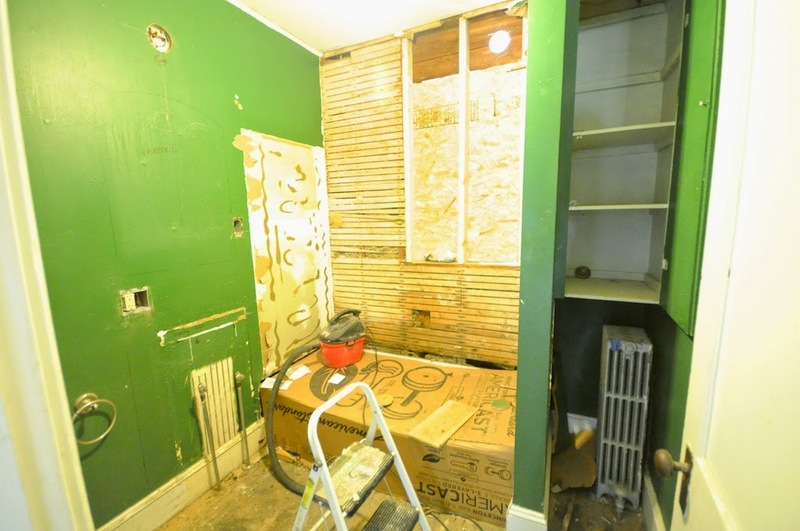 At the far end of the tub, next to the knee wall, we'll build in custom shelving, to provide additional storage. Then we'll add a new mahogany vanity and toilet. 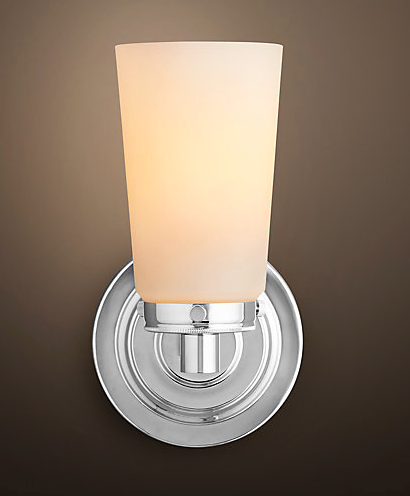 We're using the same Grohe fixtures in this bath and will add these sconces next to the mirror. 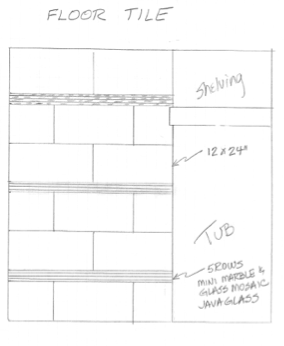 Best of all, we're hoping to start on the bathrooms in the next few weeks! Looking good! You are getting closer and closer to the fun stuff! Definitely need all the storage you can get in a bathroom. The owners master bath is already looking so much better. Thanks so much!! 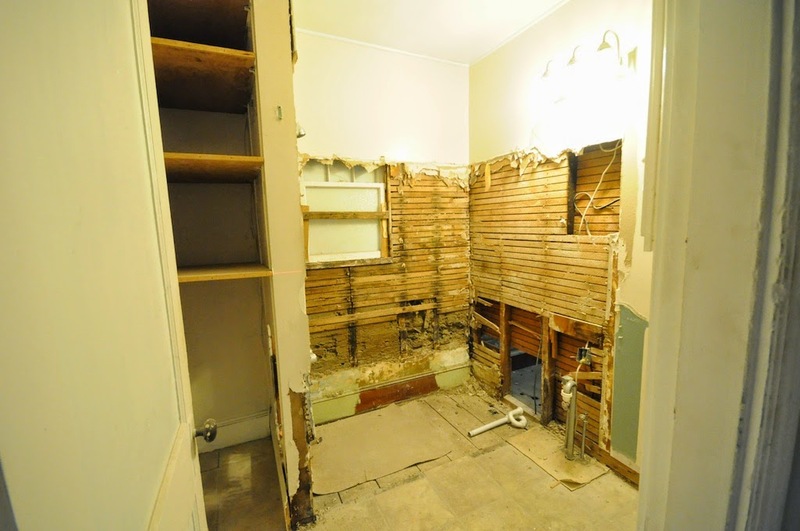 Isn't it amazing how much that master bath has changed? A little more light and eliminating the funky extra walls and it's feeling pretty good! Into the foyer? Yuckeroo! 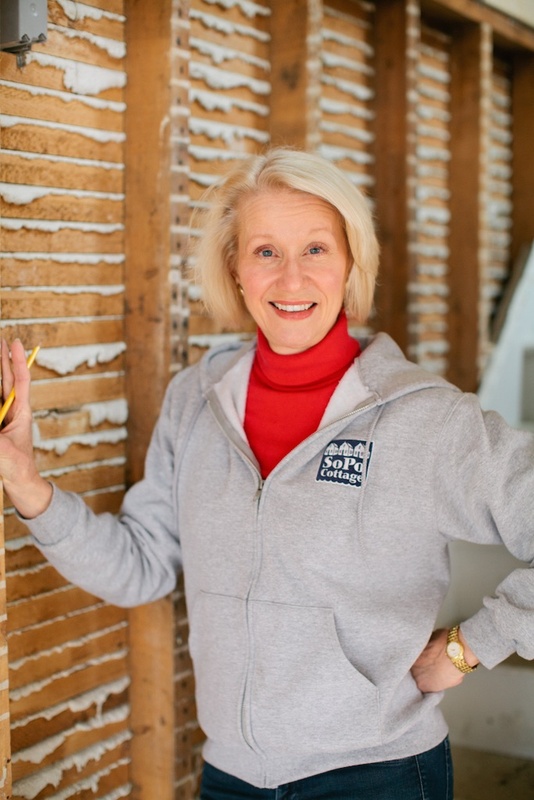 I often hear about defects of bathroom fans venting directly into the attic, causing a mold infestation problem. But into the foyer? Well that's a novel idea isn't it?! Anyway, love how the bathrooms are coming together. Knowing every fundamental is solid, fun things are even more of fun. Can't wait to see the completed new and improved house! Thanks! The vanity is by a company called Foremost. They are very nice quality at a reasonable price. 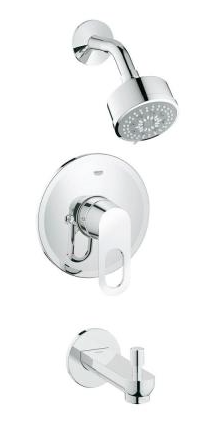 You can find them online at Home Depot.....and occasionally they run really good sales! Unfortunately, they never carry these in the store, probably because the price point is too high.